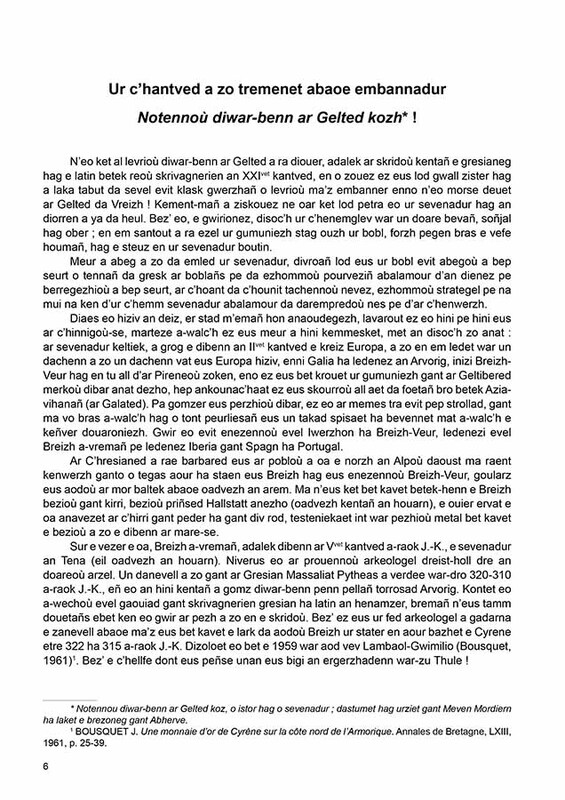 The Notennoù diwar-benn ar Gelted Kozh, is a great piece of work on the history of the old Celts. It was written in the first half of the twentieth century by Meven Mordiern and translated into Breton by François Vallée. 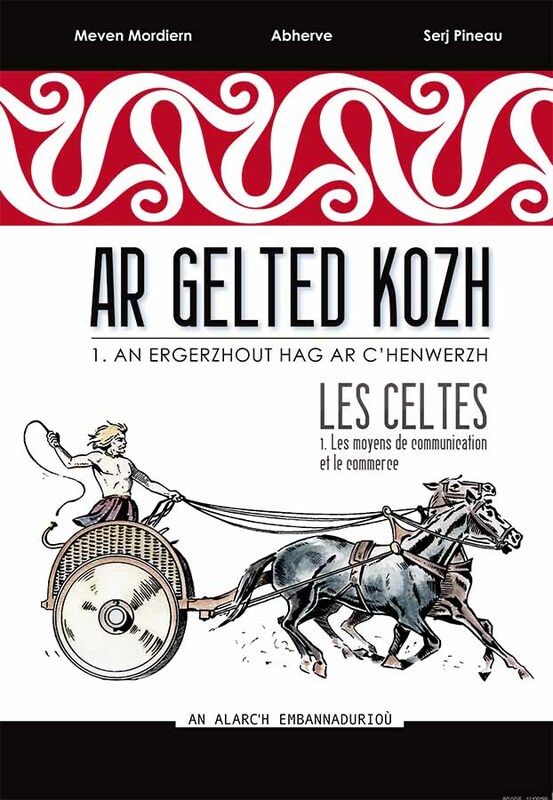 The Breton graphic designer and celtologist Serj Pineau patiently carried out research to allow a new illustrated edition of that book. 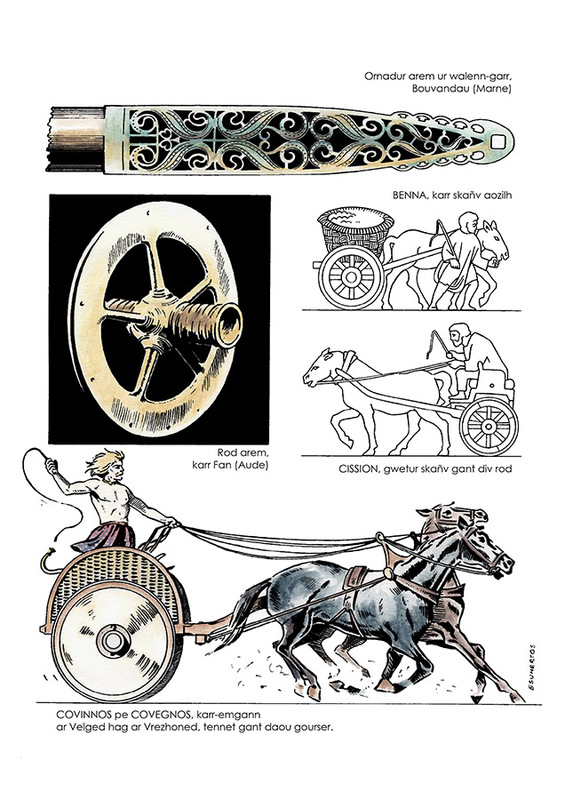 He used his skills to provide us with a great number of illustrations, as well as to update the original text when needed. 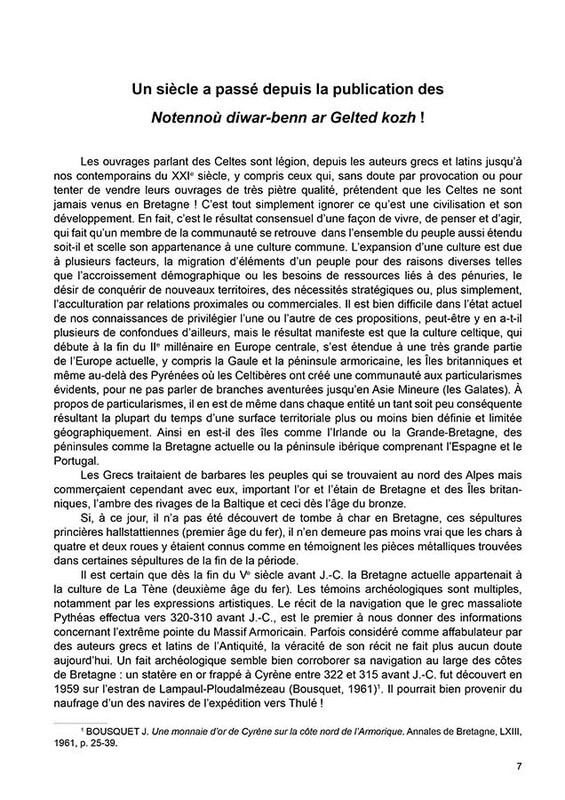 He presents us with a French translation of that text. This book is one among others to come and will certainly satisfy a very demanding audience.